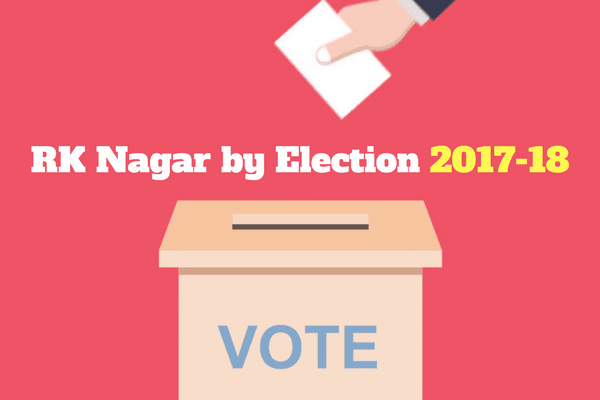 Latest Dr Radhakrishnan Nagar Election Date 2017 News and updates | RK Nagar By Election New Date. RK Nagar's election date will be released next month Election Commission District | The Election Commission has stated that the RK Nagar seat will be released next month (November). Election Commission survey conducted in the year 2016 general assembly elections in Tamil Nadu. In some of the polls, fewer than 50 percent of votes were recorded. The Election Commission of India has begun a study on why less votes were recorded. At present, there is a revision of the revision of the electoral roll across Tamil Nadu. In addition, the voters in the areas of such polling places have changed? Or wherever you live, have you come to the polls? They are studying. In RKNagar, the polling percentage in Chennai has been less than 25 percent of the 10 polling stations. An Election Commission official said a survey was conducted. He said, "The date for the assembly elections in Gujarat will be announced and the election will be held in December and the Election Commission may announce the announcement in November, when the date of elections to the RKNagar constituency is likely to be announced by the Gujarat state assembly.